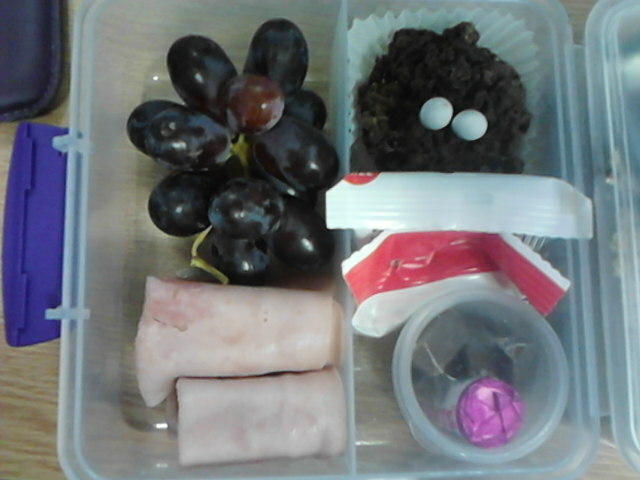 Still feel rotten, so here’s another bento from the other week. Hope everyones weekend is sunny and lovely! How do you make yourself feel better when you have a cold? 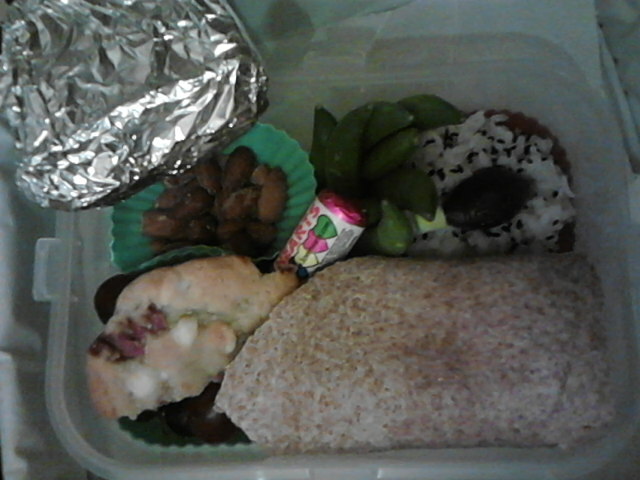 Had to root through my bento ‘archives’ for todays picture. 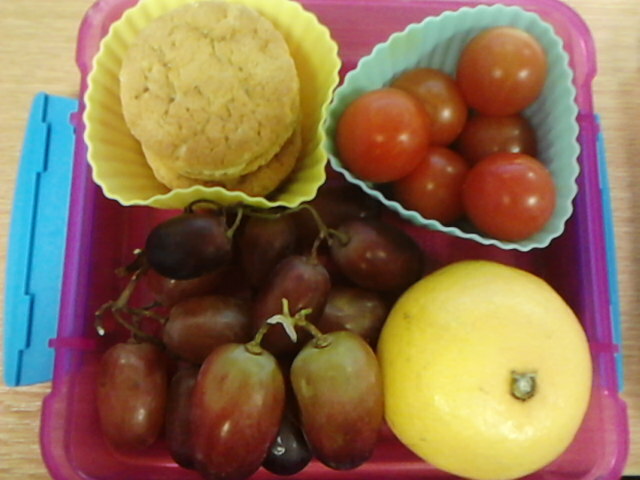 My lunch today was fantastically flavoursome, but would have made for a disgusting picture. 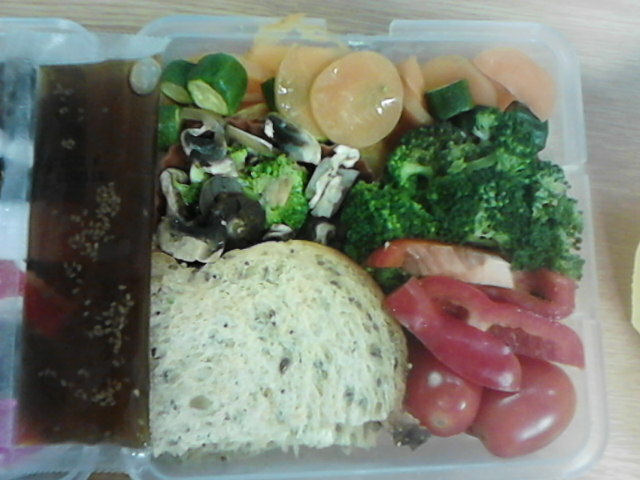 I had homemade vegetable soup made with homemade stock (gammon and vegetable), miso, and leftover roast veg. 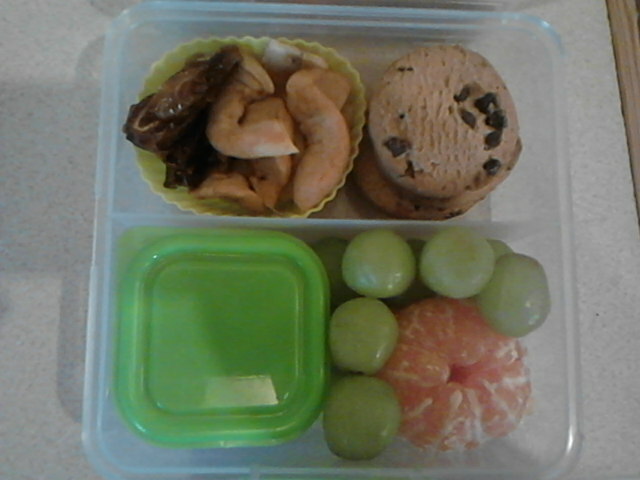 As you can imagine, it was mainly brown, but so yummy! 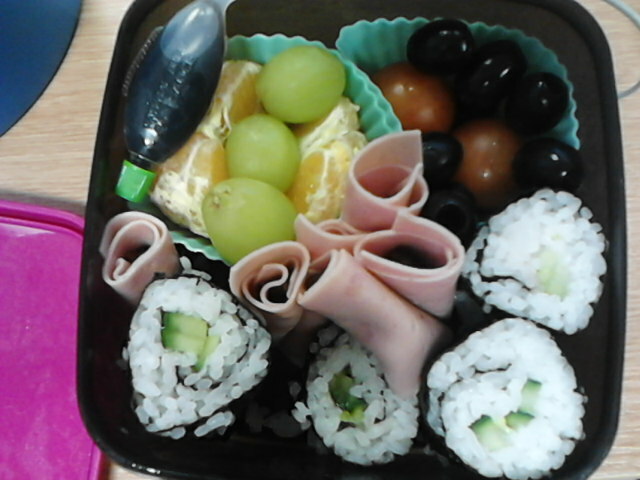 So for todays Bento picture, here is my sushi bento from a few weeks back. 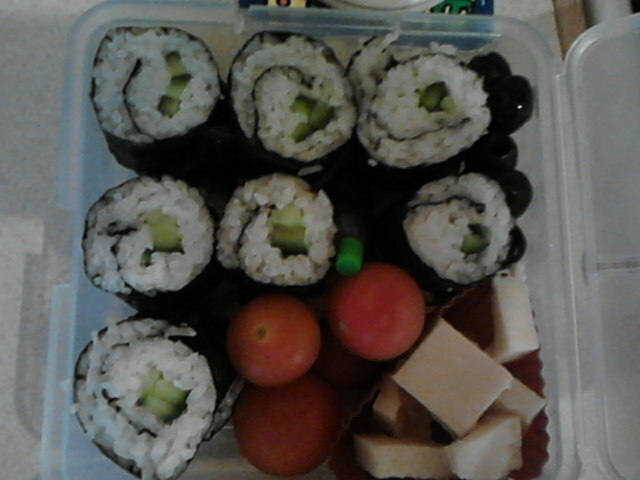 It contains homemade sushi (cucumber maki), sandwich ham, tomatoes and olives, satsuma and grapes and a little fish of soy sauce. 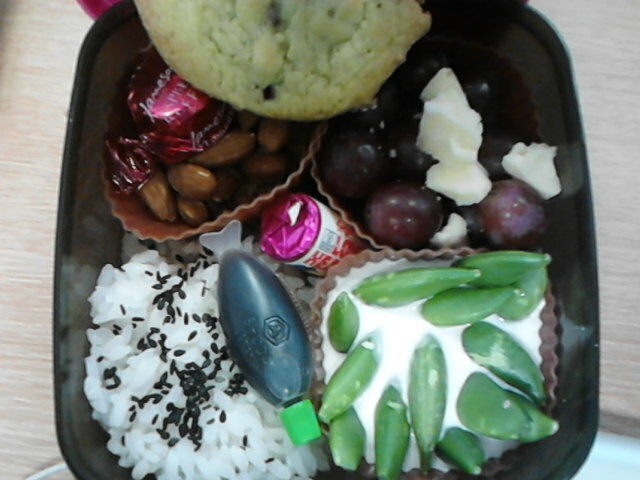 I’m pretty sure on that day I also had soup (one half of my Aladdin bento box is hiding in the top left corner of the above picture), which I’m sure was a lot prettier than my one today. 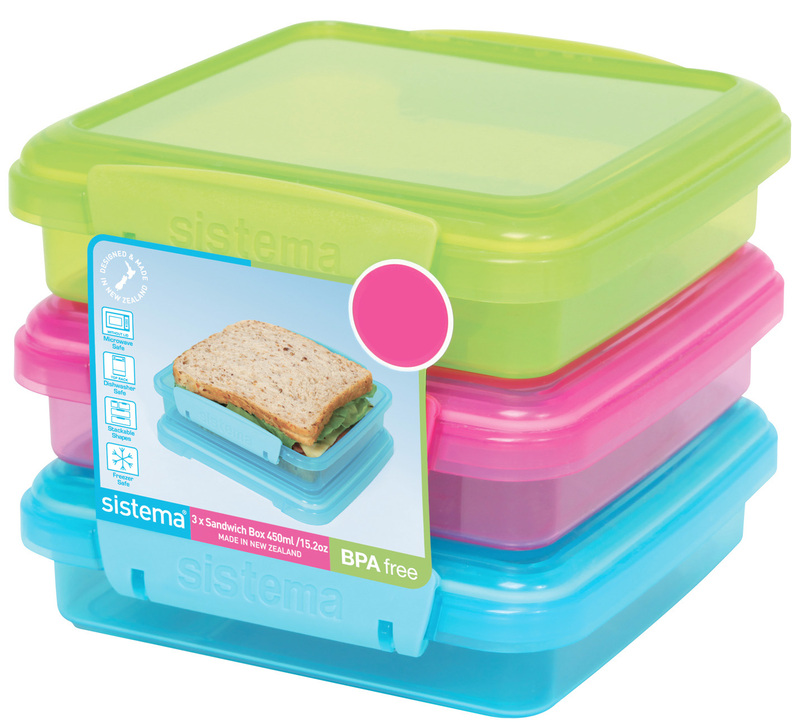 What’s the tastiest thing you’ve ever eaten, that really didn’t look good? Excuse the side-on picture, the bf took it XD. 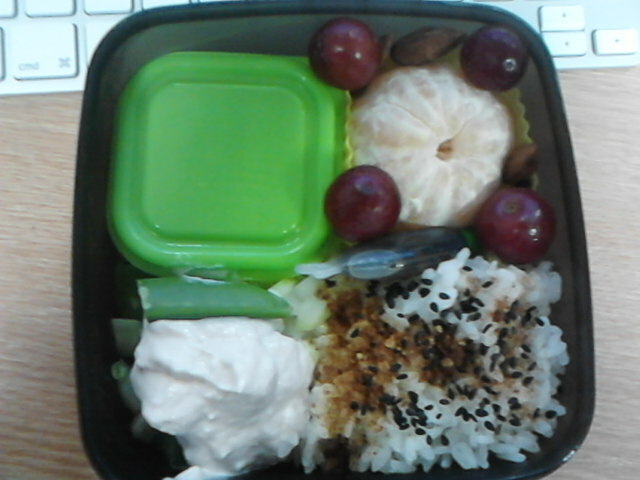 The BF’s Bento contained good old filling brown rice and soya protein pieces in a tomato sauce. Soy sauce for the rice; the tomato and protein pieces are on a salad base and I also sprinkled some japanese 7 spice on the tomato concoction 😛 yummy!